Click here to see a list of recipients from 1994-2018. Katharine Forbes Erskine devoted more than 80 years of her life to furthering the mission of the YWCA Central Massachusetts. She first became a member of the YWCA as a teenager in the early 1900s when she signed up for a gymnastics class at the organization, which was formerly located on Chatham Street. A 1911 graduate of Vassar College, Mrs. Erskine went on to serve as President of the YWCA twice – once in 1930 and again in 1960 during the YWCA Building Campaign, which raised one million dollars to construct the present YWCA facility located at One Salem Square. She also briefly studied law and received a physical education certificate from Wellesley College. Mrs. Erskine served on nearly every YWCA committee throughout her lifetime, but particularly enjoyed serving on the YWCA Public Affairs Committee, as well as the Camp Committee, which acquired Camp Wind-in-the-Pines located on Stiles Reservoir in Leicester. She founded the YWCA Dialogue Group, which was comprised of women interested in discussing women’s issues and current events, as well as the Nereids Club, a swimming group for adult women. 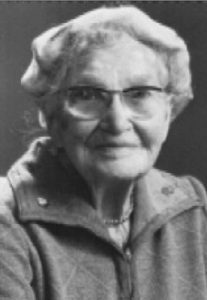 Mrs. Erskine died in 1990 at 100 years of age, but her unwavering spirit and commitment to creating opportunities for women and girls lives on through the contributions of the Katharine F. Erskine Award recipients.